People sometimes go through the following phases in life. They aim to be smart, then to be wise, then to be kind. Why? As the saying goes, the greatest wisdom is kindness. 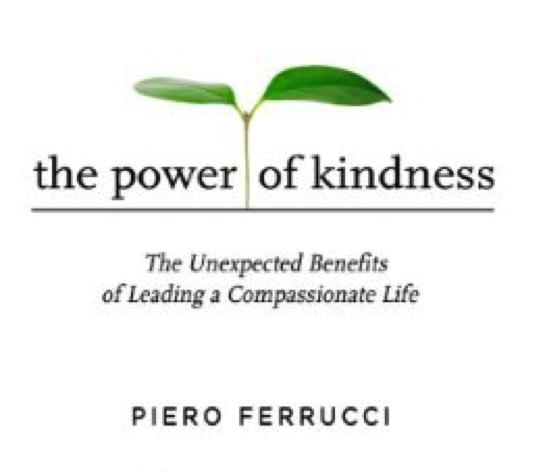 “However special it may sound it (kindness) is by no means exceptional. On the contrary, it comprises a great deal of human interactions. “It is up to us. It is a choice in the life of each of us – to take the way of selfishness and abuse, or the way of solidarity and kindness. “In this exciting but dangerous moment of human history, kindness is not a luxury, it is a necessity. “Being kind is taking a stand. 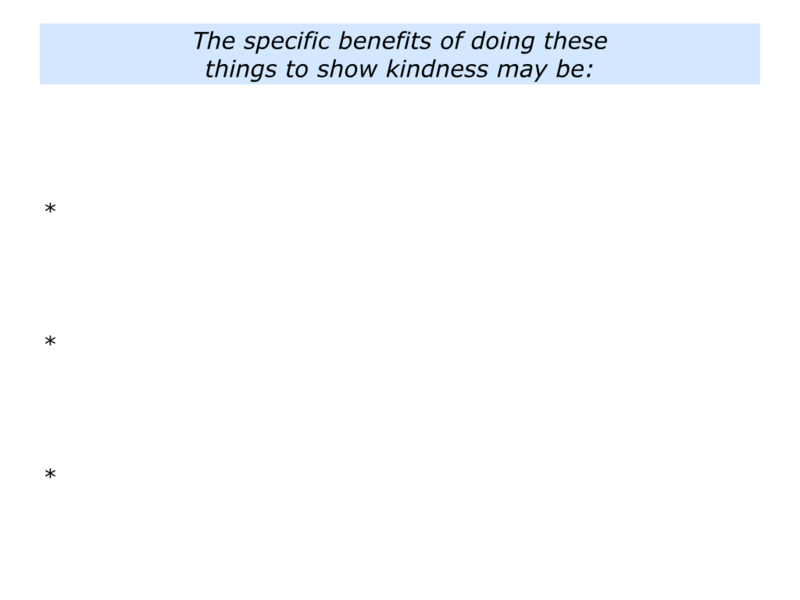 By itself it may not help: Maybe our kindness will be ineffective. You can learn more about Piero’s work via the following link. Kindness and cruelty create their own circles. 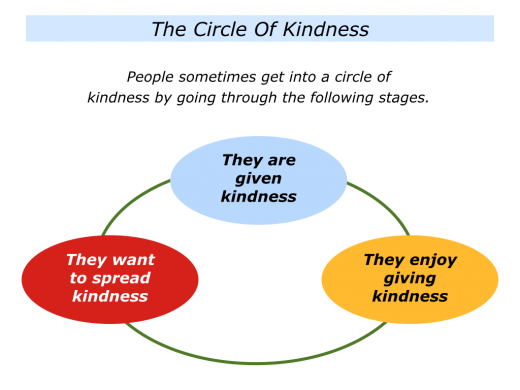 People who are given kindness early in life are more likely to pass on kindness to others. People who experience cruelty are more likely to pass on cruelty to others. 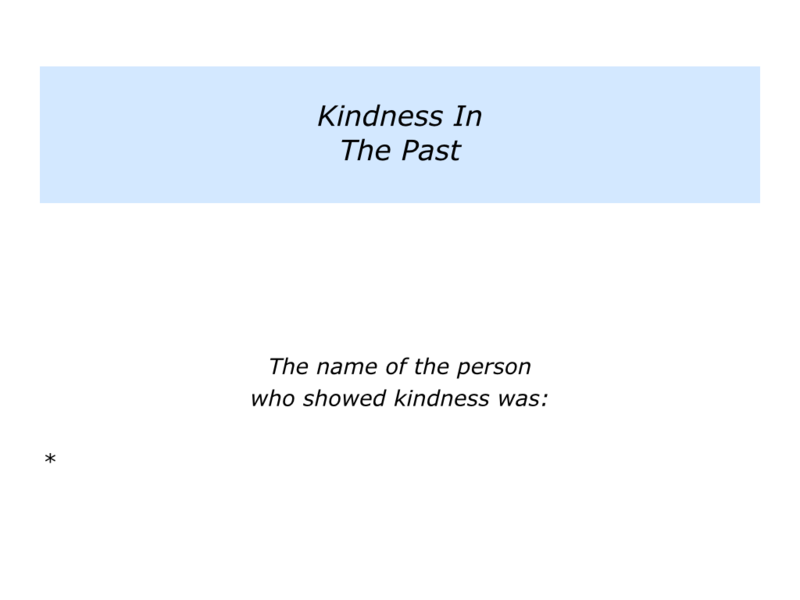 Describe a person you have known who showed kindness – write their name. 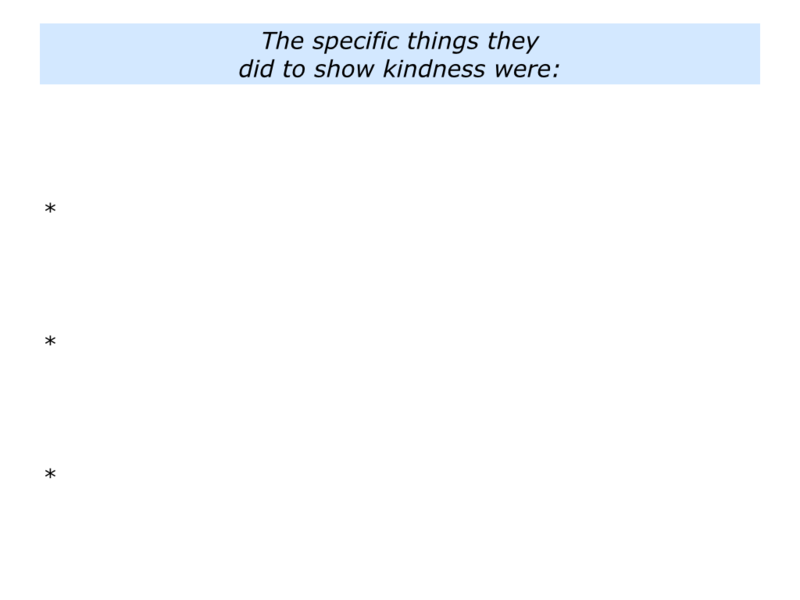 Describe the specific things they did to show kindness. 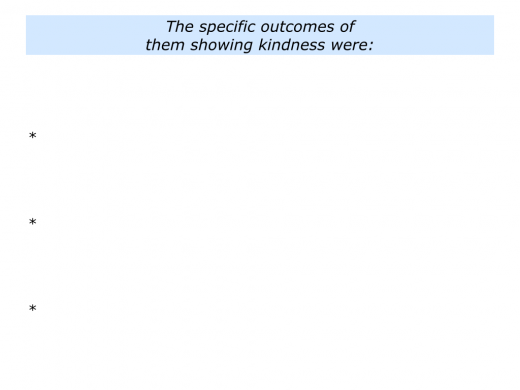 Describe the specific outcomes that resulted from them showing kindness. The Dalai Lama says: “My religion is kindness.” This is a theme echoed in many spiritual faiths. Kindness is also a quality that is admired in many cultures. Have I lived a good life? Have I helped other people? 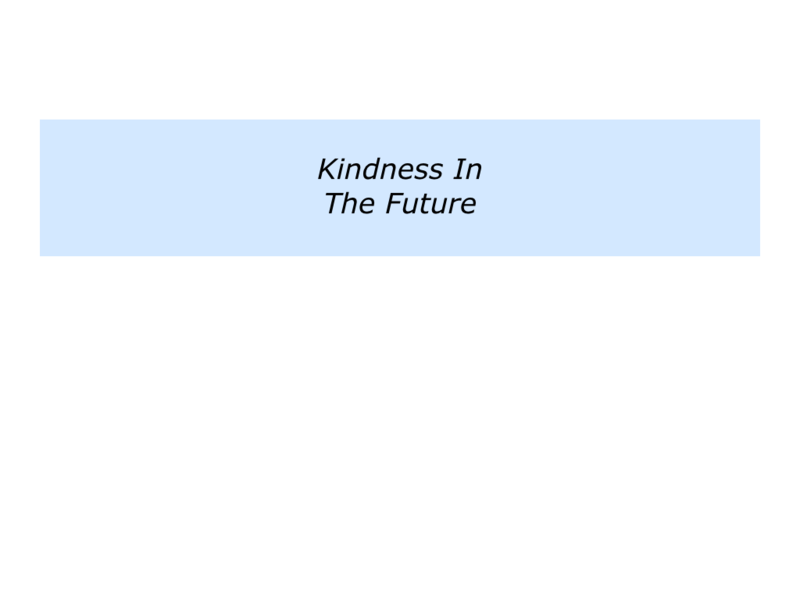 Have I been kind? How can I do more of these things in the future? How can I help to build a better world for future generations? “People often ask me what is the most effective technique for transforming their life. 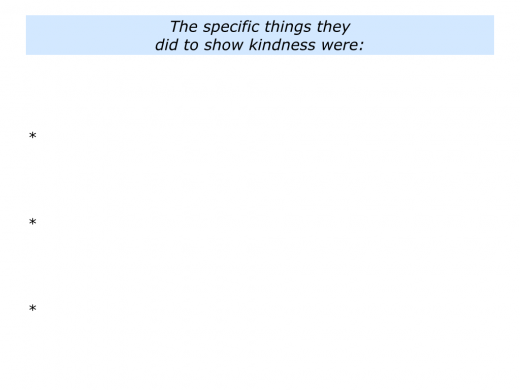 Here are some views on kindness from The Fast Company and Sesame Street. Kindness comes in many forms. People often get pleasure, for example, from feeding others or helping them to grow. Kindness provides strength to both the giver and the receiver. 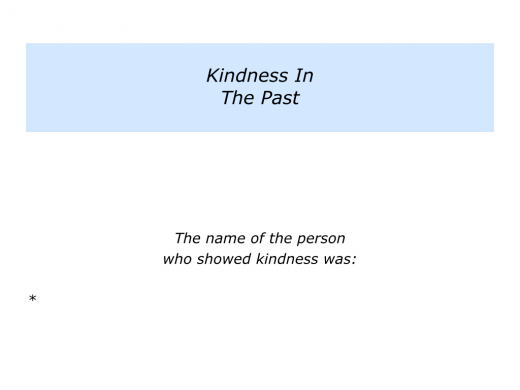 If you wish, try tackling the following exercise on the theme of kindness. This invites you to do the following things. 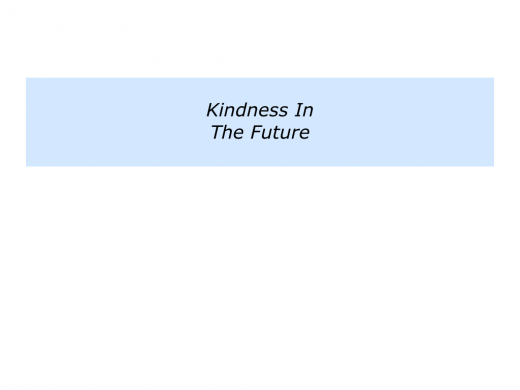 Describe the specific things you can do to show kindness in the future. 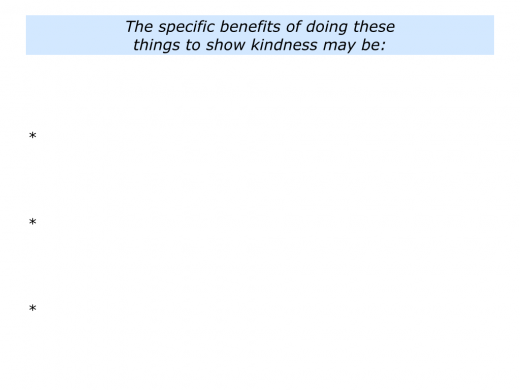 Describe the specific benefits of doing these things to show kindness.